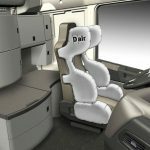 BMW announced a new joint project with Dainese that would develop a new line of rider equipment using the Italian company’s integrated airbag technology. 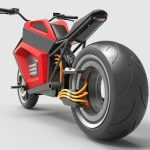 The two companies will also be working on integrating the technology to BMW’s motorcycles. 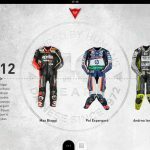 The new line will make use of Dainese’s D-Air technology developed by MotoGP racers such as Jorge Lorenzo and Valentino Rossi. 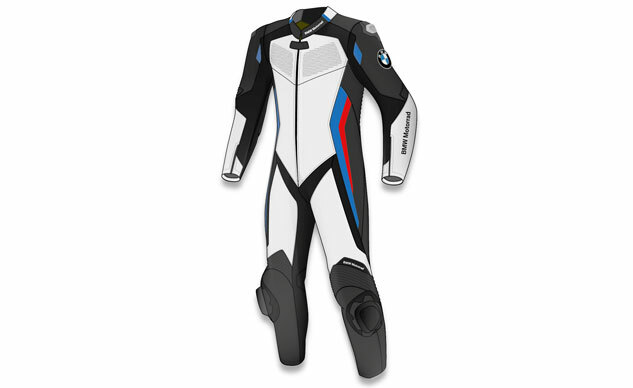 The first product of the new partnership is the BMW Motorrad DoubleR RaceAir one-piece leather racing suit illustrated above. 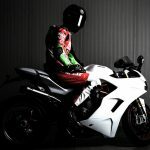 BMW will be testing the suit in Munich, Germany, over the next few months before revealing the final version at EICMA in Milan, Italy, in November. After that, Dainese will help retrofit its technology to BMW motorcycles. BMW says its first airbag-equipped motorcycles should be available for 2015, pending successful completion of crash testing. BMW isn’t the first manufacturer to introduce airbag technology to its motorcycles. Honda pioneered the use of airbags as safety equipment on its Gold Wing in 2006. BMW however will be looking to retrofit airbags to multiple models and will work with Dainese to develop other methods of improving rider protection technology.